Latisha Silva and her three children - 9, 7 and 2 years old - must move from their apartment in Pawtucket, R.I., when their landlord is foreclosed upon. Through the ordeal of searching for a new home, Latisha tries to keep family routine intact – making sure the children get to after-school activities and sporting events. 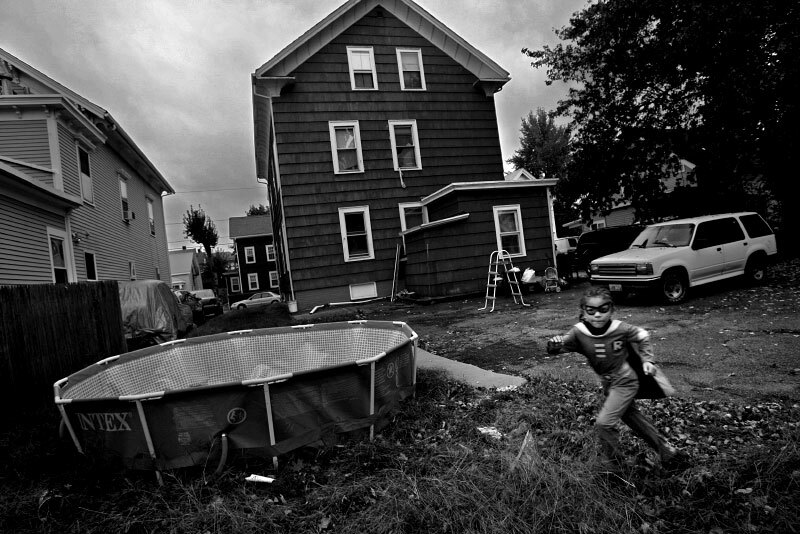 Seven-year-old Isaiah, who is autistic, models his superhero Halloween costume before a neighborhood party.